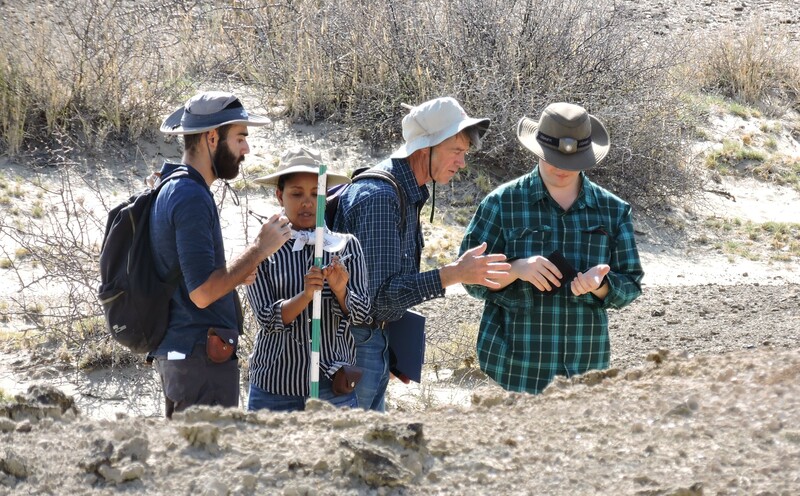 Following an introduction by professor Craig Feibel in geological mapping and stratigraphic processes, TBI students apply their knowledge to begin a study of the Turkwell River and its history. 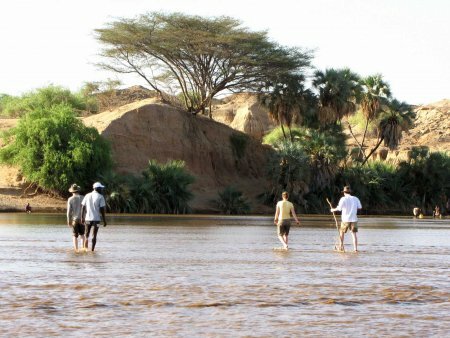 The Turkwell in its modern form is an important source of livelihood for the Turkana people, and the center of a semidesert ecosystem west of Lake Turkana. 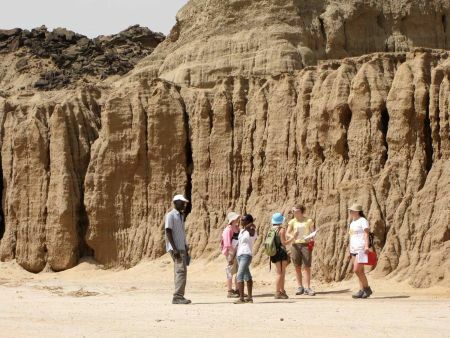 But geological strata exposed alongside the river at TBI show that the Turkwell has a changing history spanning millions of years. 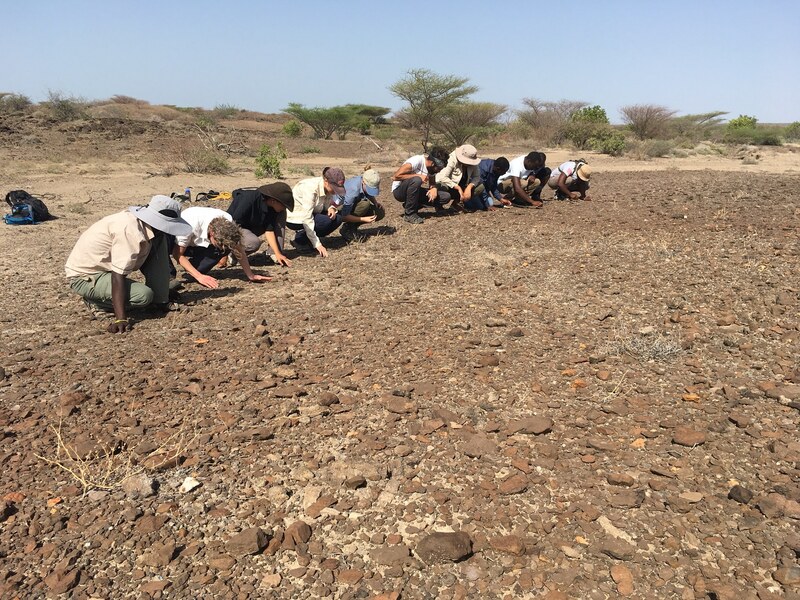 These photographs will show how field school students used their knowledge to reconstruct this history and better understand the Lake Turkana’s ancient surroundings. 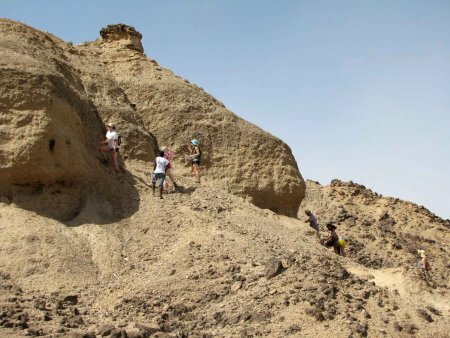 Below the Pliocene sediments, students find a Halocene river terrace that has been eroded by modern, seasonal water flow. 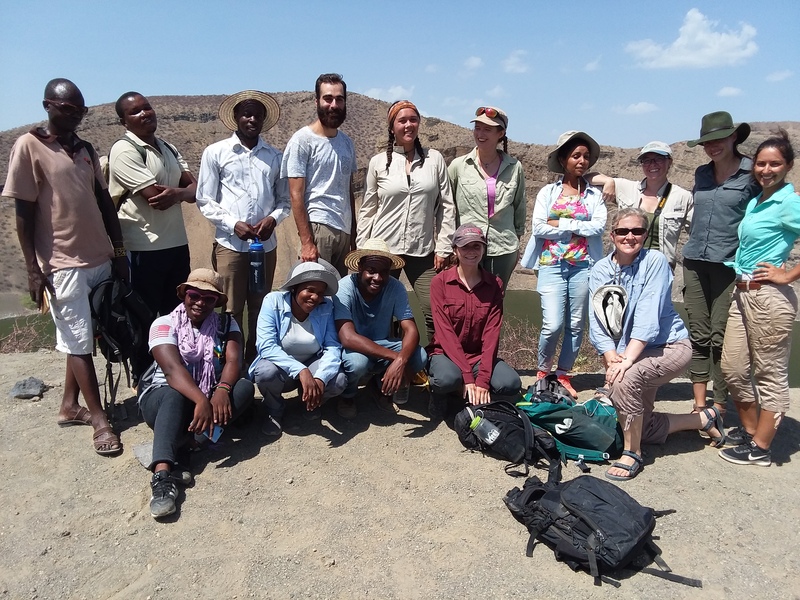 In order to better understand past and present processes of deposition, students make their way into the Turkwel River to characterize its flow into Lake Turkana. 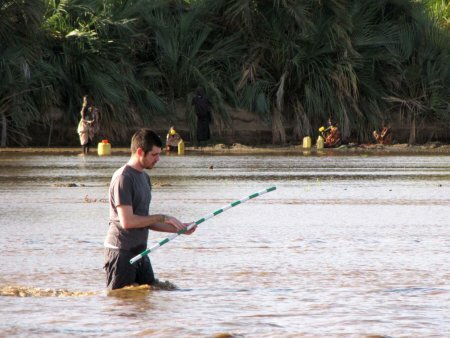 Ben attempts to part the waters with his staff. 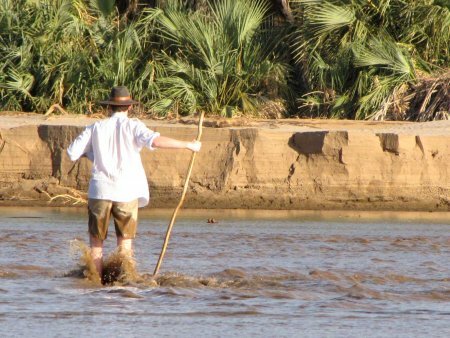 Students found the crossing more challenging after water levels rose. 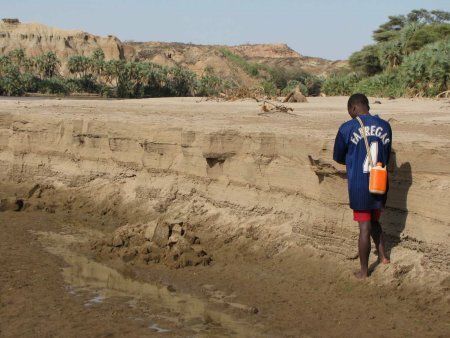 Patrick measures water depth with his Jacobstaff as Turkana women collect water on the bank behind him. 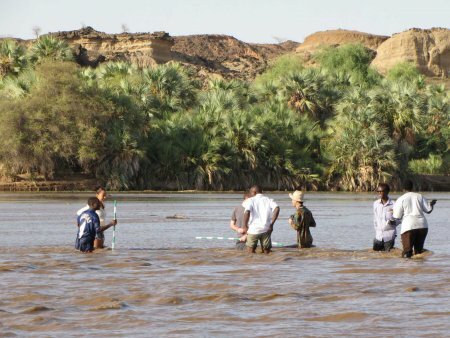 Daniel, David, Debbie and Ben measure current velocities as they ford the river. 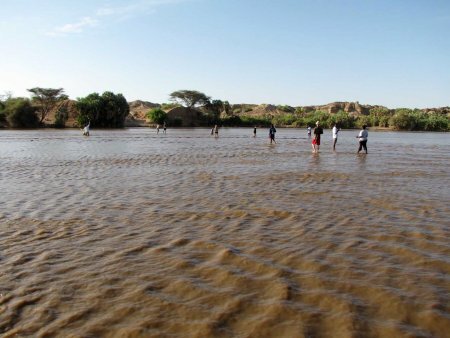 After the release of water from the Dam, students wade up to their waists. John tries to keep his shorts dry. 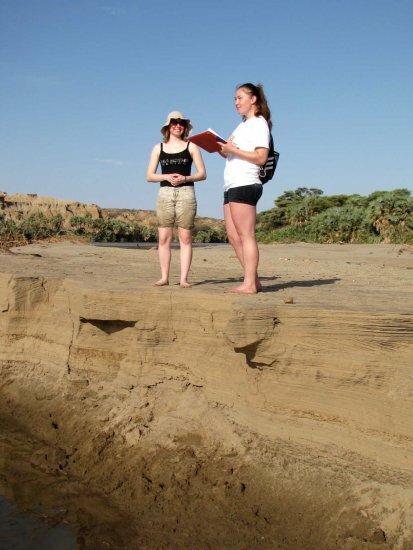 Kasha and Sonia sight their position above a floodplain sandbar adjacent to the Turkwel. 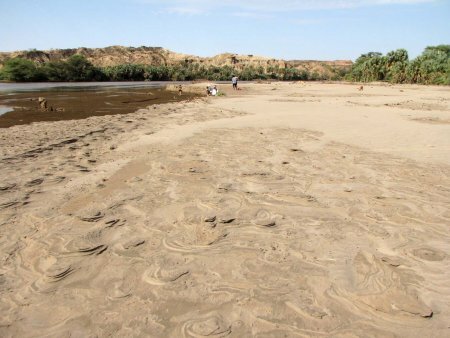 Wind erodes the sandbar, creating crossbanking on its surface. 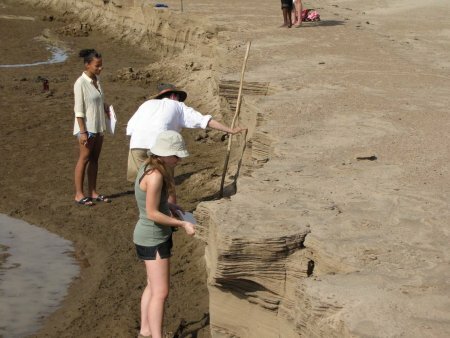 Alisha, Ben and Kelly examine the exposed surfaces of the sandbar. 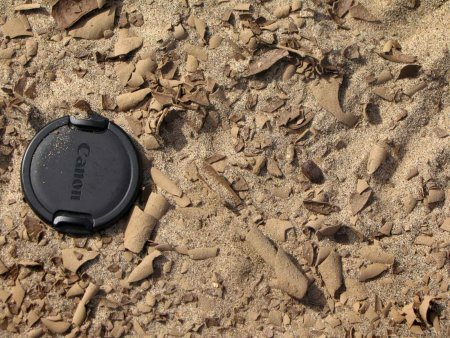 A lens cap falls onto cracked clay drape, which formed after last season’s waters began to recede from their floodplain. 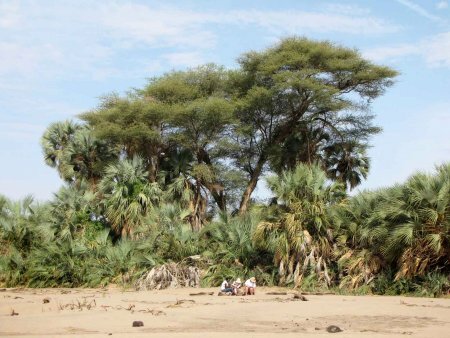 Students sit in the foreground of a massive acacia tree in the background. 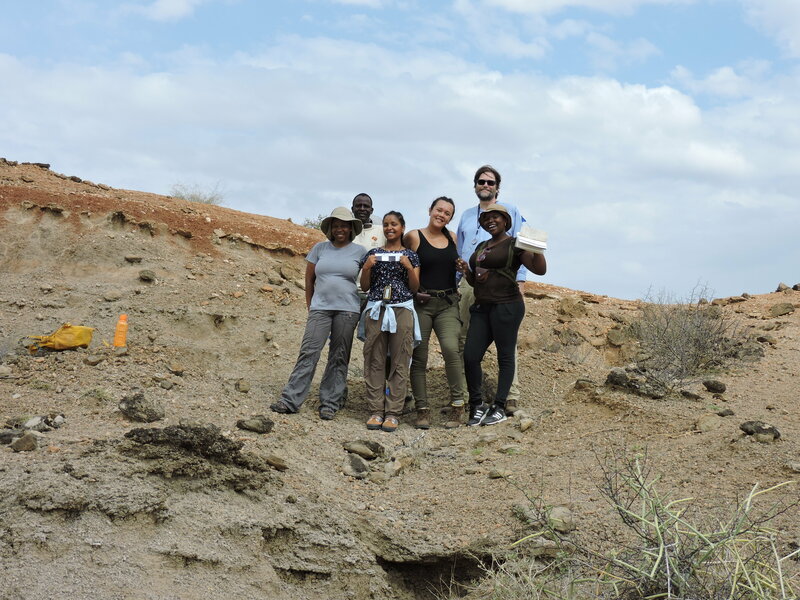 Sonia, Mary and others climb Pliocene sediments outside camp, applying their knowledge of the modern Turkwell to better understand the processes that created these formations. 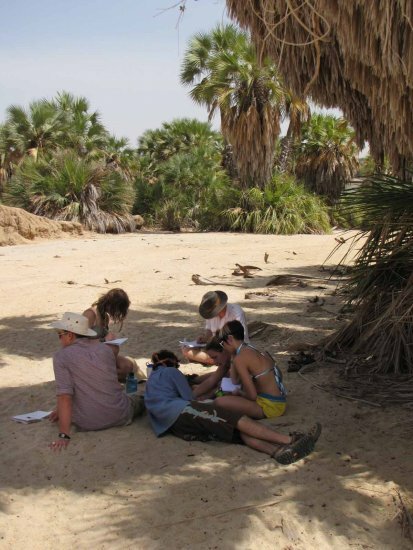 Peter, Wyatt, Priscilla, Mandy, Meadow and Ben use the shade of palm fronds to take cover from the noonday sun. 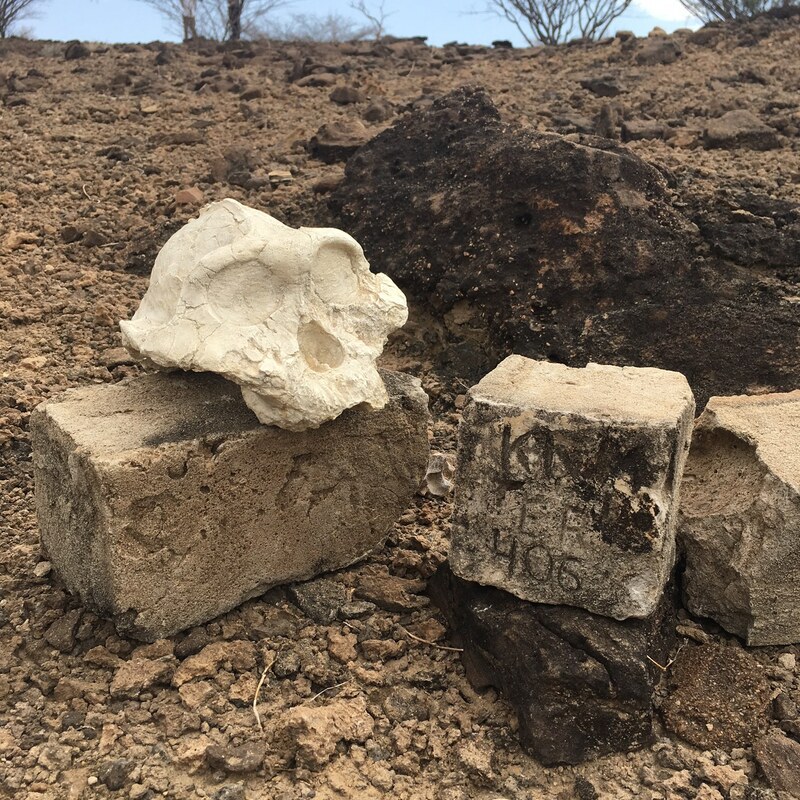 Photographs taken by Craig Feibel, Veronica Waweru, Daniel Green, and Quan Duong.